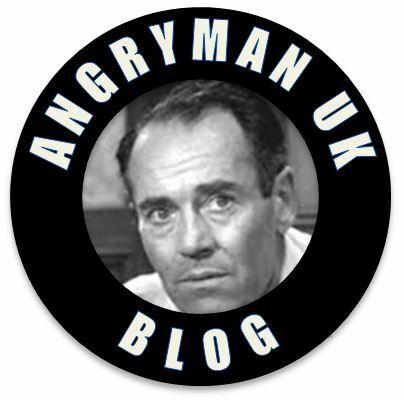 Guest Post by James Dalton. There has been much speculation, rumour and talk surrounding the motives and actions of John Rees-Evans (JRE). His second Party leadership campaign within a year culminated in the election of Henry Bolton (HB) as the new leader of UKIP on the 29th of September 2017. One hour after the election result was announced, registration papers were deposited with the Electoral Commission relating to a new political party called ‘Affinity’. On Sunday the 1st of October 2017 the management team of ‘Affinity’ announced that JRE had been appointed as the Affinity ‘Spokesman for Liberty’. I first became aware of JRE and his vision for Direct Democracy during his involvement in the autumn 2016 UKIP leadership election. I first met JRE in person when he came to Barnsley in May 2017 to make a promotional video for the Barnsley East GE campaign. I have subsequently met JRE and spoken to him on numerous occasions. So what happened? Why has JRE left UKIP for an unknown, non-existent party? On Friday 28th of October 2017 I spoke with John for the first time since the National Conference in Torquay. Over the course of a three hour conversation I asked him specific questions relating to his decision making and actions over the preceding twelve months and he was forthright and open with me in his responses. What follows reflects my understanding of events over the previous twelve months with respect to JRE and the Party and why JRE decided to leave the Party when he did. In Part 1, events up to the time of the resignation of Paul Nuttall (PN) are described. Part 2 will cover the time from PN’s resignation up to the 1st of October when JRE announced he had left UKIP to take up his new role with Affinity. JRE stood in the UKIP leadership election held toward the end of 2016. PN was elected leader (9,622 votes 62.5%) and JRE came third, receiving 2,775 (18%) votes, closely behind Suzanne Evans (2,973 votes 19.3%). JRE stood on a platform of ‘Direct Democracy’ and fundamental reform of the Party and the way in which our nation’s democracy should evolve. In the immediate aftermath of that election in late 2016, John Rees Evans was approached by a group of Direct Democracy enthusiasts with not insignificant financial resources. The group were seeking a suitable individual to become the leader of their new political party and as JRE found out in his meeting with them, they were interested in him to fulfill the role. This group’s politics were focused on: the transition of the UK’s governance to one where the will of the people is measured and implemented through a system of Direct Democracy; the confirmation of the British Constitution, nationhood, common law and traditional rights; the belief in small efficient government, low taxes and free market economics. JRE did not accept this offer and confirmed to the group that he wished to pursue the implementation of Direct Democracy in UKIP; the only Party JRE had ever joined, voted for or campaigned for. The group of people concerned had been working on plans for a new political party since their inception in 2011. Over the following months, John spoke with this group of people further with a view to increasing support, especially financial support, for UKIP if and when ‘Direct Democracy’ was embraced by the Party. On the 28th of March 2017, JRE met with PN the UKIP leader (at PN’s request) to discuss the introduction of Direct Democracy within UKIP and to get ‘the ball rolling’. A deadline of the end of April was set for the initial testing and rollout of the system. [The proposal presented to PN by JRE can be read here]. The outcome of this meeting was that JRE was tasked by PN to develop the digital system to implement Direct Democracy within the Party. This work was carried out by JRE and his sub-contractor(s). The work undertaken was not paid for by the Party and the sub-contractor costs in the fullness of time were met by JRE. Paul Oakden’s letter to Sam Gould, as published on the above link, confirmed that the party under the leadership of Paul Nuttall were committed to introduce Direct Democracy as part of PN’s proposed Party reforms. From 28th March to mid-July when JRE invited representatives of what we now know as ‘Affinity’ to his launch event of 13th July, JRE had not engaged in further discussions with ‘Affinity’. It is worth noting that prior to JRE’s meeting with PN on the 28th of March 2017; a public offer had been made to the leadership of UKIP by Arron Banks in the wake of the Stoke Central by-election campaign. Arron Banks had offered, if taken on as Chairman, to ‘professionalise’ the Party and implement ‘Direct Democracy’. This offer made in February 2017 had been rejected leading to Arron Banks announcing in mid-march that he had left the Party to form ‘UKIP 2.0’ and the widespread speculation at the time, and since, that a Party often referred to as ‘The Patriotic Alliance’ would emerge. The electoral Commission did receive papers relating to registration of ‘The Patriotic Alliance’, though who was responsible for this application is a matter I have not investigated. Three weeks after the meeting of the 28th March, Theresa May called the General Election and the focus of the Party, its representatives and its members understandably shifted to the electoral battle in hand. Reblogged this on The State We're In. Good article James, always useful to find out what is actually going on. I take it that Direct Democracy is not one of Mr Boltons priorities.